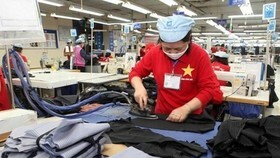 Continued dependence on raw and auxiliary materials imports will constrain Vietnam textiles and garment industry from taking real advantage of the various Free Trade Agreements signed by the country, industry insiders say. 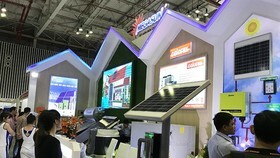 It will also blunt the industry’s competitive edge further, they add. According to a 2016 report from the Ministry of Industry and Trade (MoIT), by the end of last year, 99 per cent of cotton used in the textile industry, reaching 1.03 million tonnes worth about US$1.7 billion, was imported, a year-on-year increase of two percent in quantity and 2.5 percent in value. Thread import turnover in 2016 also went up 8.8 per cent in volume and 5.9 percent in value to 861,00 tonnes and $1.6 billion respectively. Import of whole fabric last year increased by 3.2 percent over 2015 to reach $10.5 billion. Currently, Vietnam is only able to supply 0.3 percent of domestic cotton demand and 40 per cent of thread demand, so the rest is imported chiefly from the US, China and Taiwan. Paradoxically, more than 70 per cent of the national thread output of 1.4 million tonnes is exported, while the Vietnamese garment industry imports nearly 0.1 million metric tonnes of high-grade fibre from China, Korea and Taiwan per year. 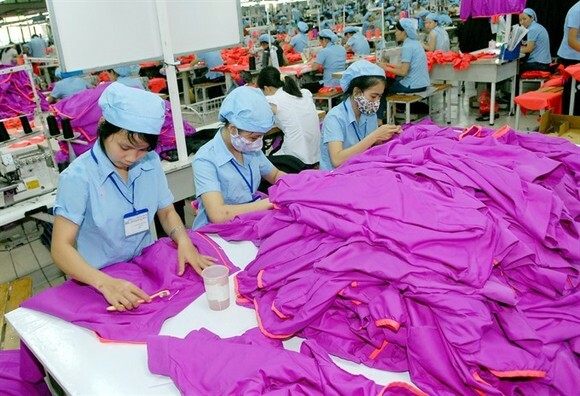 Each year, Vietnam earns tens of billions of dollars from textile and garment exports, but businesses make modest profits of less than $2 billion because the garment industry spends more than half of its earnings on importing raw materials, according to the MoIT. 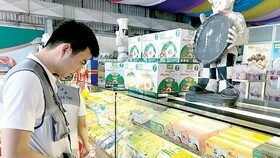 Tran Thanh Hai, Deputy Director of the MoIT’s Import-Export Department, said in an announcement on the MoIT’s online portal, that the textile industry’s dependence on imported instead of locally produced raw and auxiliary materials has significantly limited its competitiveness and added-value component. Domestic textile firms produce nearly 2.8 billion metres of fabric each year, meeting 30 percent of total demand, so Vietnam still has to import up to 6.1 billion metres of fabric annually, even from countries not participating in the same major FTAS like the Trans-Pacific Partnership, the EU-Vietnam FTA, or the Vietnam Japan Economic Partnership Agreement. Regarding accessories, production facilities for sewing thread, cotton sheets, buttons, zippers, or packaging labels can be found in Vietnam, but they barely meet domestic market demand, so these have to be imported in large quantities too. 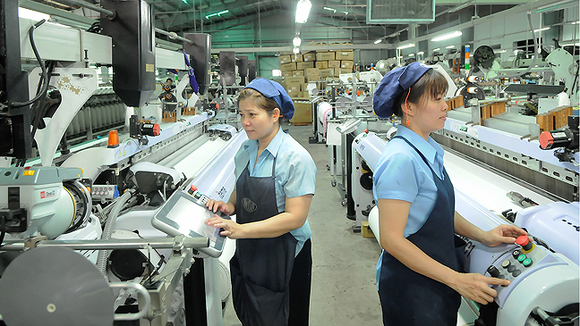 According to a 2016 report of the Vietnam Textile and Garment Association (VITAS), the industry finds itself in the lowest value-added segment in the supply chain, having 70 percent of exported products under outsourcing for foreign firms, 20 percent as domestic production and direct sales without intermediaries, 2.9 percent as self-designed and self-manufactured products, and just one percent made and distributed under original brands. Nguyen Van Tuan, Chairman of the Vietnam Cotton and Spinning Association (VCOSA), said during the 2016 Vietnam Textile Summit in HCM City, that the textile industry is "knotted" in the middle, i.e. highly productive in terms of making yarn and final products, but stunted in the production of fabric and other materials. 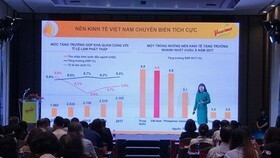 With the industry’s annual growth rate at about 8 percent, by 2025, the amount of fabric needed will double to 18 billion metres, meaning without further investment in domestic production, Vietnam will have to import 15 billion metres, said Tuan. He also said that with 7.5 million spindles, the industry’s annual output is approximately 1.3 million tonnes of thread; of which more than 800 thousand tonnes are reserved for export, mainly to two major markets – China and Turkey. 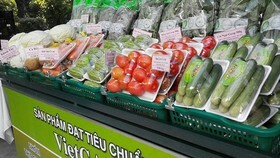 Worse still, many countries have intensified their use of trade remedies against Vietnam. According to the MoIT, from 2007 onwards, Vietnam’s yarn and thread exports have faced seven lawsuits – five anti-dumping, one anti-subsidy and one safeguard measure - from Turkey, the EU, India and Brazil. Therefore, around 80 per cent of Vietnamese yarn is exported to China, since its cotton prices are still relatively high. However, this cannot be seen as a stable market. Once China decides to use the 11 million tonnes of cotton in storage, Vietnam’s yarn market share in the country will shrink considerably, according to a VCOSA analysis. Some insiders have said that the nation’s textiles and garments sector can still increase productivity and localisation rate through the development of supporting industries. VITAS Chairman Vu Duc Giang told the Vietnam News Agency a few months ago the FTAs are a driving force for growth, but the textile and garment industry must be prepared for it. Giang suggested that domestic businesses invest in the dyeing process, implement a solid human resource training strategy as the 4.0 Industrial Revolution gets closer, and focus heavily on building an integrated value chain between domestic producers. 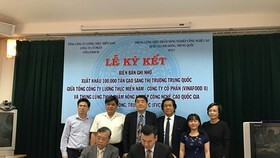 Hoang Ve Dung, Vinatex’s Deputy General Director, said at a meeting in August 2017 between Vinatex and the Vietnam Oil and Gas Group, that administrative agencies should coordinate with textile associations to push for appropriate policies on the purchase and production processes, covering both raw materials and finished products. According to the MoIT, total textile and garment exports in the first six months of 2017 reached $14.58 billion, up 11.3 percent over the same period in 2016, despite difficulties. 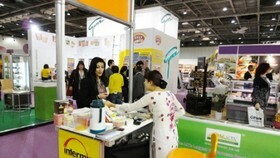 However, industry insiders have said that the turnover of the first 6 months is not sustainable.